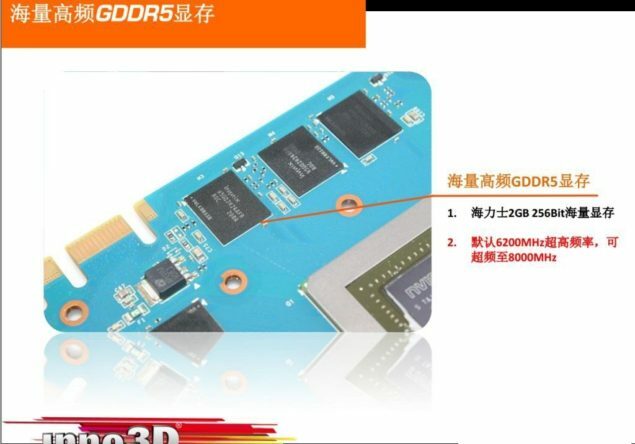 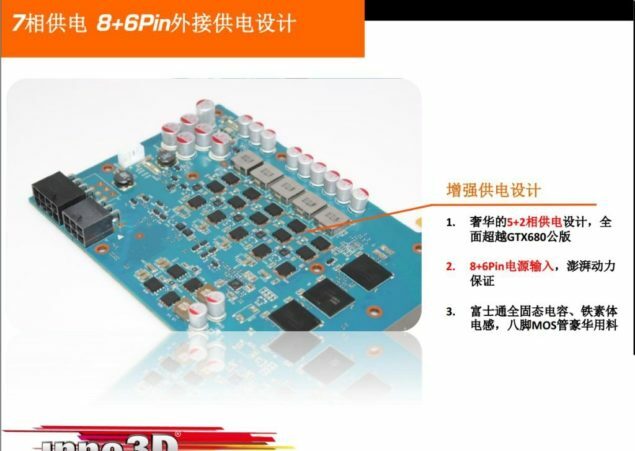 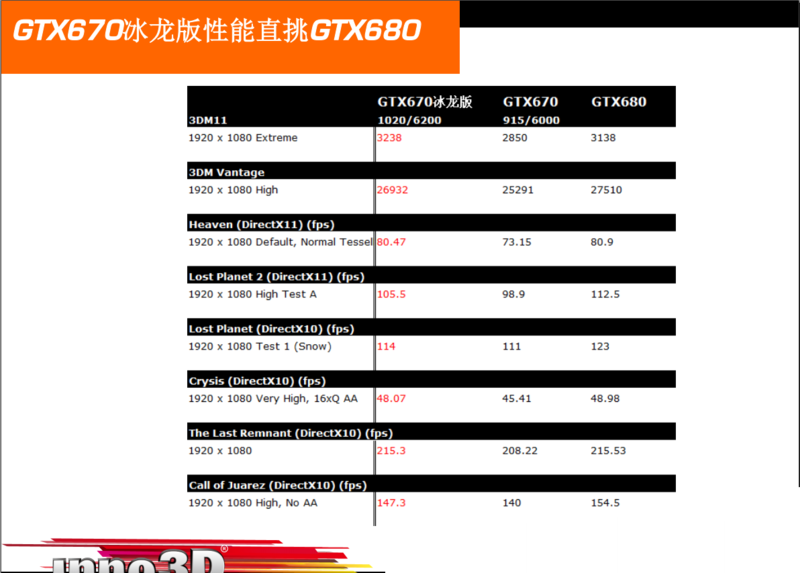 A day ago we reported Inno3D’s upcoming iChill Ice Dragon variant of the GeForce GTX 670 GPU, Now Inno3D themselves have released official documents along with a comparison chart which pits the GTX 670 against the GTX 680. 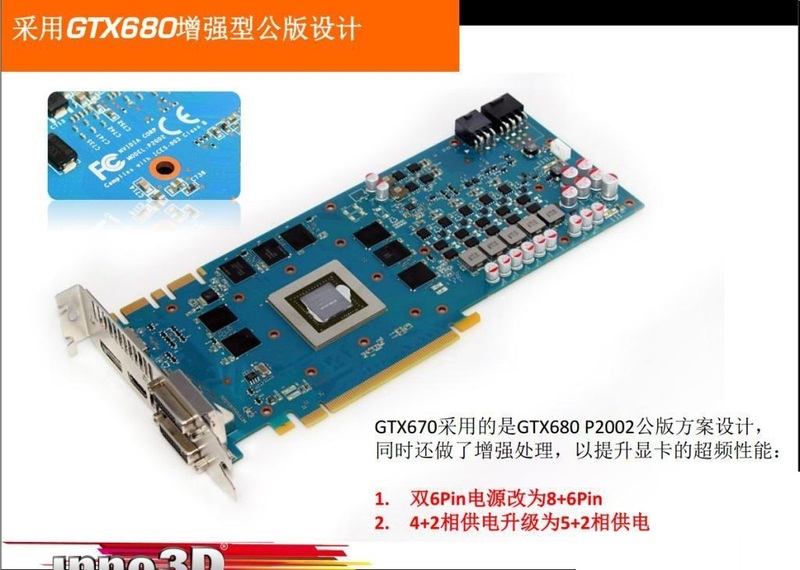 The IChill GTX 670 Ice dragon combines a non-reference PCB equipped with a 5+2 Phase VRM area which runs the Kepler GK104 core (GK104-325-A2). 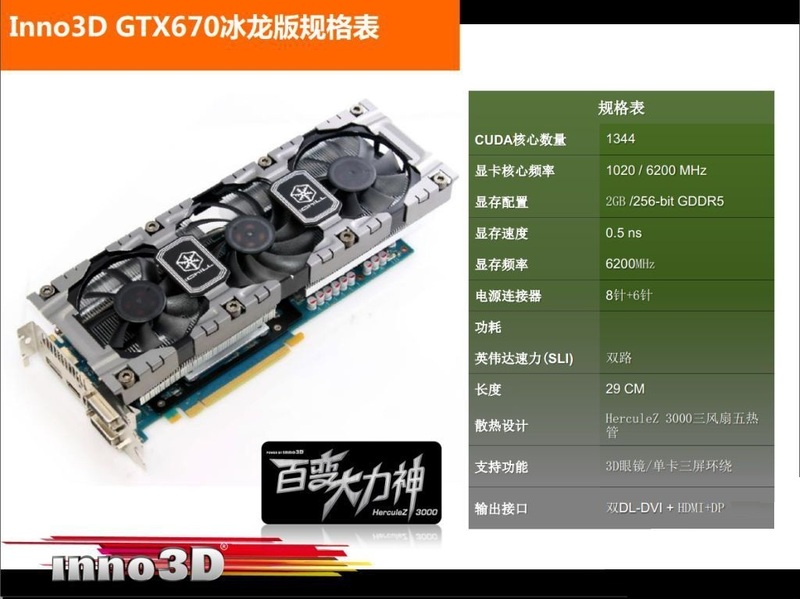 The GTX 670 core features 1344 Cores, 112 TMUs, 32 ROPs. 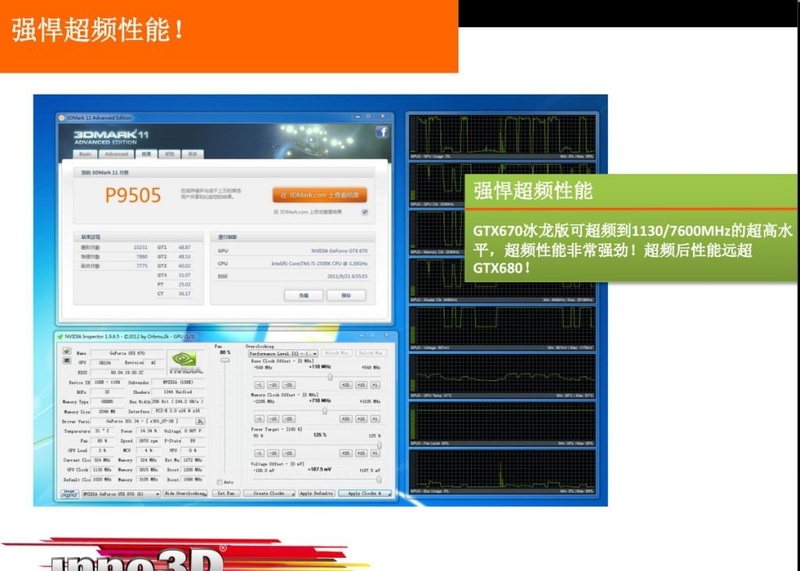 Being a factory overclocked version, the core comes clocked at 1020MHz and 1100MHz Boost clock while a 2GB GDDR5 (256-bit) memory is maintained at 6.2GHz effective speed. The card is cooled by the triple slot HerculeZ 3000 cooler which features triple fan design which supply air to the large aluminium heatsink underneath the shroud. 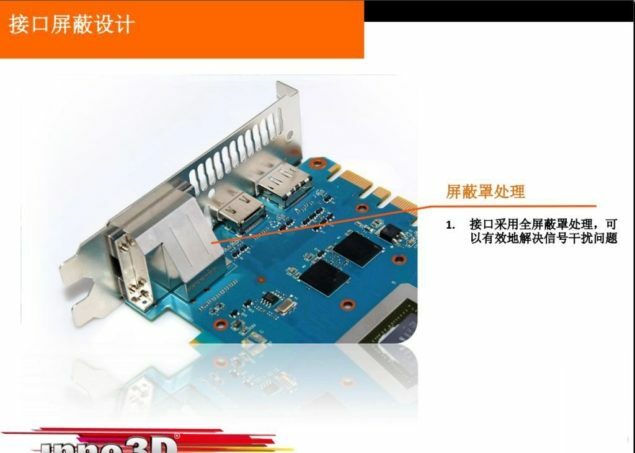 The GPU is powered by a 8+6 Pin connector, Display outputs stick to the reference 2 DVi, HDMI and Display port.